"YOUR TRUSTED CHOICE FOR PLUMBING SERVICE." 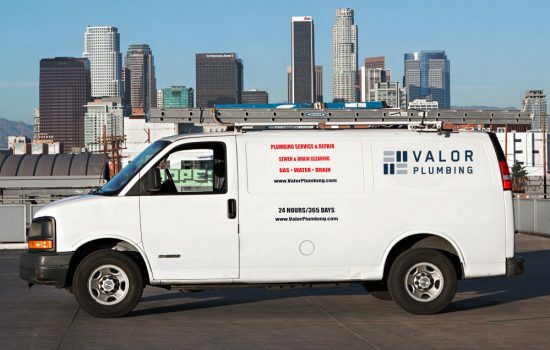 Valor Plumbing is locally owned and licensed in Los Angeles by plumber Henry Sanchez. Henry, a native to the city, exemplifies dedication and diligence to his craft and his customers making him a gem in his trade! At Valor, our customers are our most valuable asset. We are dedicated to providing you with the best possible experience by delivering superior customer service! Our ultimate goal is to build trust and establish relationships. So, when plumbing issues arise we’re your sole choice for all your plumbing needs. Including San Fernando, Burbank, Pasadena, West Covina, Long Beach, Torrance & Santa Monica. *We travel within a 25 mile radius of zip code 90006. Drain and sewer backups are one of the most common plumbing issues for homeowners and businesses. We’ll unclog your toilets, sinks, tubs, showers, washing machines and floor drains. Hydro-jet cleaning is the most effective method of clearing major blockages from your main line. High pressure streams of water are used to break through the toughest blockages including roots. If your sewer or main drain lines are experiencing tough or persistent backups, we will inspect your sewer systems or main drain lines with a specialized video camera to determine the exact cause. This enables us to advise you on the best solution for cleaning or repair. We offer the latest in water efficient plumbing fixtures that meet federal and state regulations, including toilets, sinks, bathtubs and faucets. We’ll even help you with installation of fixtures that you supply! We offer the latest in efficient water heaters, including tankless units. Our expert installation service will make certain your water heater is installed to meet city regulations to ensure the safety of your home. We’ll even help you with the installation of a water heater that you supply! Leaky faucet, toilet not flushing, jammed garbage disposal, water heater malfunction, broken or corroded pipes? No problem! 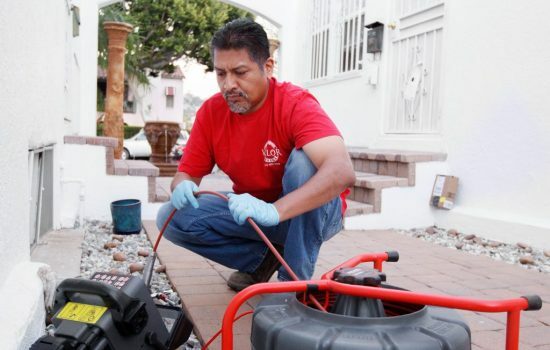 We repair plumbing fixtures, as well as water, drain, sewer & gas lines. Low water pressure, persistent backups and corrosion are signs that it might be time for new plumbing. We repipe water, drain, sewer and gas lines. If you’re planning to remodel or add new appliances we can relocate or install brand new plumbing or gas lines for all your household fixtures and appliances. We provide diagnostics for your plumbing systems including the most complex problems. Our comprehensive estimates give you a thorough analysis of your plumbing issue including photos and/or video, providing you the ultimate peace of mind. We understand plumbing emergencies can happen day or night and time is of the utmost importance. At Valor we provide 24/7 service for critical plumbing emergencies. Share your email with us and we’ll send you occasional emails including special offers, service enhancements and our newsletter. Your email is kept confidential. We won’t overwhelm your inbox! © 2018 Valor Plumbing. All rights reserved.